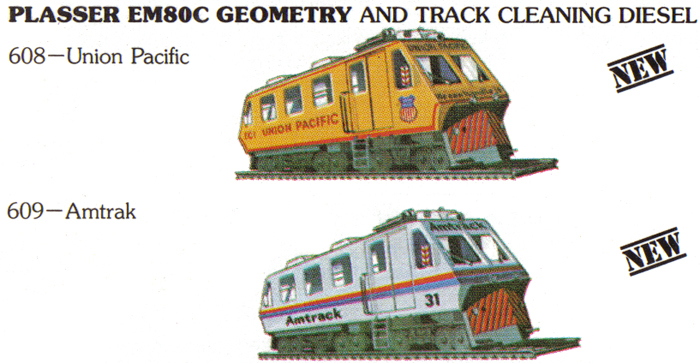 The above image is what was found for the Plasser EM80C's first Bachmann catalog appearance in 1980. 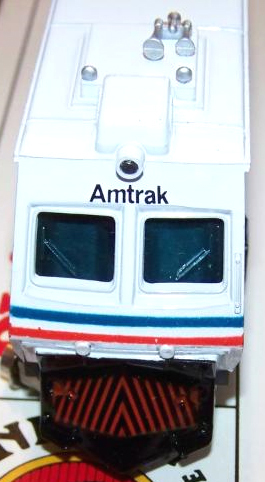 Notice the spelling on the Amtrak example in the illustration, production Plasser models did not reflect this inaccuracy with Amtrak's name. The May 1981 issue of Model Railroader includes a review of Bachmann's Plasser EM80C by the magazine's then Senior Editior Jim Hediger. Mr. Hediger gives positive marks for this Bachmann track cleaner. 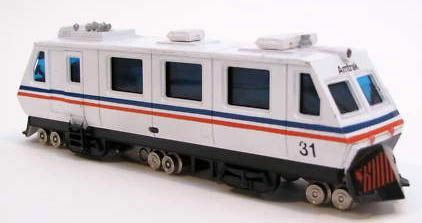 The Model Railroader review includes the retail price as $12.99 for this item in 1981. The Bachmann Plasser EM80C did its task by using cleaning fluid stored in a tank inside the model's body. A pad was located in the center of the model's underframe that made contact with the rails and dispensed the fluid. 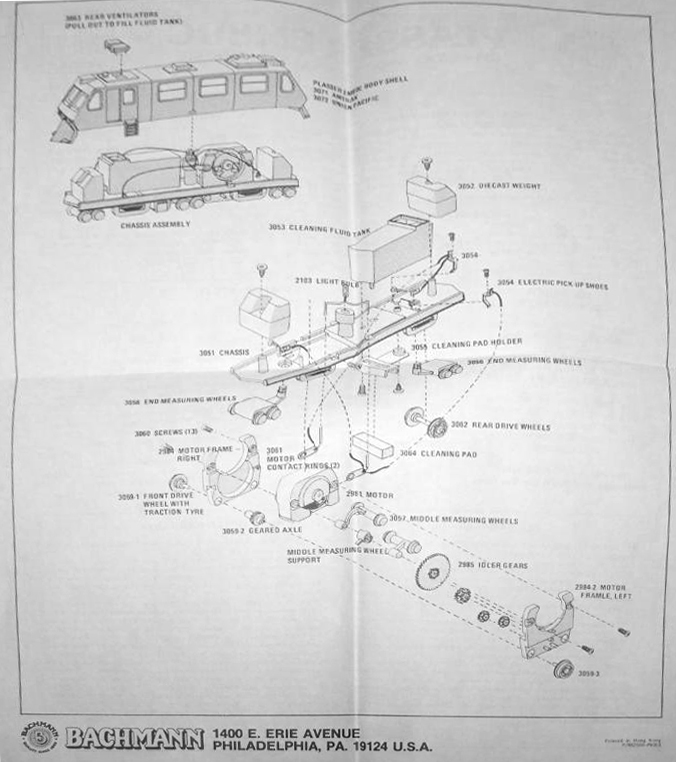 Bachmann's 1980 catalog includes a bottle of Track Cleaner (No.2290), listed in the Landscaping Department section of the publication. 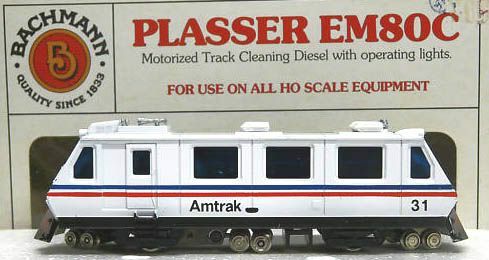 Bachmann also produced the Plasser EM80C in its N-scale product line. You may click on the thumbnail image above to view the Bachmann Plasser EM80C's exploded parts diagram. 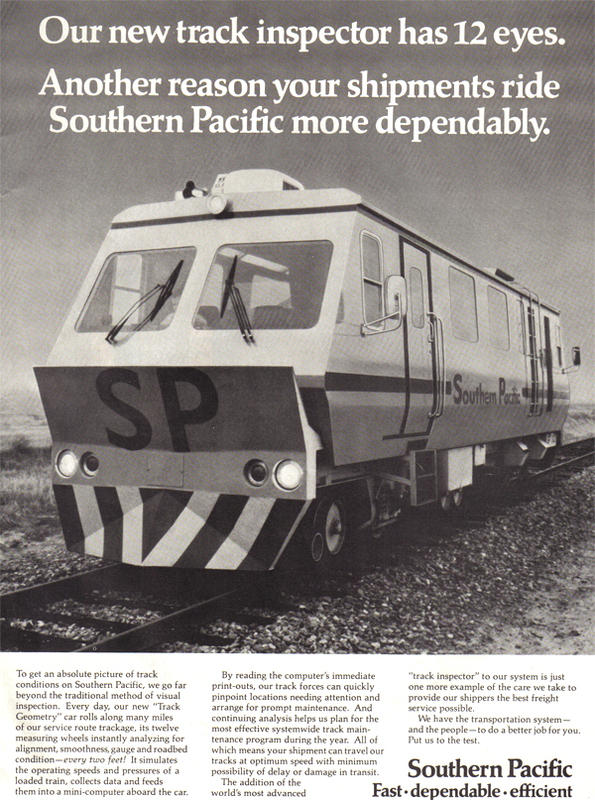 You may click on the image above to view a Southern Pacific advertisement featured in a 1978 issue of Railway Age magazine that spotlights the track geometry car.